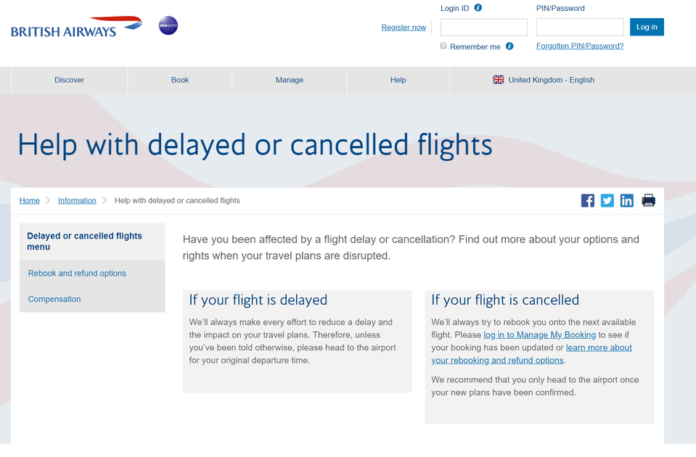 British Airways has launched a new section of its ba.com website to help customers change their bookings and find out more about their consumer rights if their journey doesn’t go to plan. The investment is part of the airline’s plan to make sure customers receive the best customer service. British Airways’ customer service agents at the airport have traditionally helped customers with one aspect of their journey. As part of a new approach, every representative is being trained to help customers across a range of different areas – from ticketing, to re-booking, changing reservations, finding delayed luggage or providing up to date flight information. It means that the first agent a customer meets will be the person that resolves their issue.